Contents 180 vega capsules 69.20 EUR You save 6%! Contents 270 vega capsules 101.70 EUR You save 8%! The state of digestive health largely determines a person's general well-being. By supporting this complicated system, health and well-being can be improved. Enzymes play a crucial role in these processes. Enzymes are simple proteins that are present in every living cell of the organism. They serve as "biological catalysts" to regulate various biochemical reactions, including digestion. Enzymes help the digestive system absorb, degrade and excrete food and nutrients. α-Amylase: Decomposes carbohydrates such as starch, glycogen and polysaccharides into smaller, digestible units (e.g. simple sugars). Cellulase: Decomposes cellulose and chitin to help release nutrients into fruits and vegetables. Lipase: Degrades lipids, improves fat utilization and supports healthy gallbladder function. 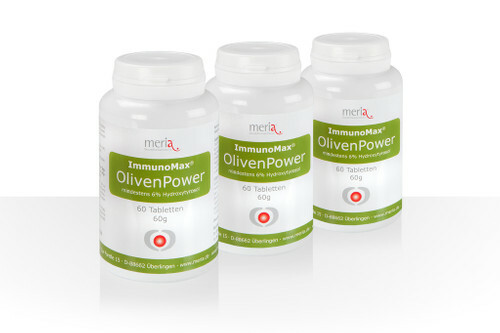 Protease: Degrades proteins and peptides, supports immune function. Lactase: Decomposes lactose (milk sugar) and is useful in lactose intolerance. 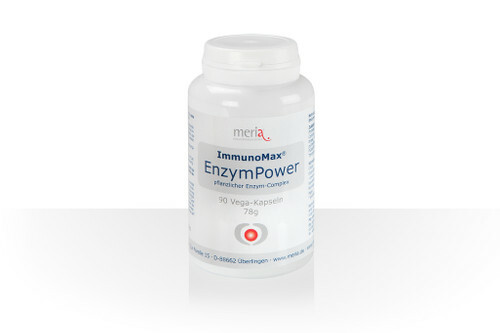 ImmunoMax®EnzymPower does not contain gluten, lactose or any substances of animal origin. 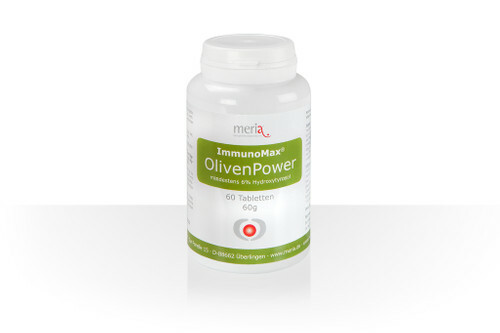 Intake: 3 x 1 capsule per day unchewed and with sufficient water together with meals. In case of lactose intolerance, the dosage must be adjusted individually while eating foods containing lactose. It depends on the degree of lactose, intolerance and the lactose content of the meal. Please seek expert advice in this regard. The recommended daily intake must not be exceeded. Ingredients: Calcium citrate, enzyme preparation (with protease, amylase, lactase, gluco-amylase, lipase, cellulase, hemicellulase, alpha-galactosidase, pectinase, phytase, xylanase), capsule shell hydroxypropyl-methylcellulose, ginger extract, maltodextrin, filler microcrystalline cellulose, bromelain, papain, separating agent silicon dioxide and magnesium stearate. 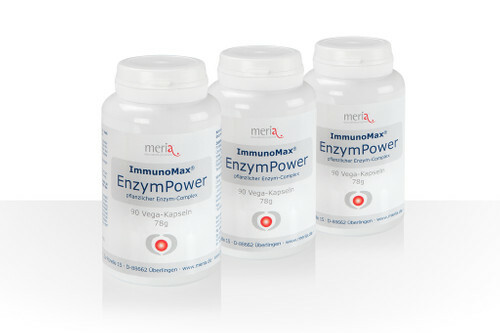 Unlike many other enzyme preparations, ImmunoMax® EnzymPower capsules do not contain any substances of animal origin. Storage: in closed plastic can dry and in a cool place!